You are here: Home / blog / Getting Traffic via Keyword Research. Getting Traffic via Keyword Research. And he’s right. Do you understand SEO? Of course not. It’s kind of like what a Studies the UniverseCosmology is the study of the origins and eventual fate of the universe. cosmologist does, trying to understand something bigger than yourself without having any way to understand it except by running experiments based on theories. We only know what to do because someone else tried it and it worked… Of course the universe at least plays by the same rules every year (I hope?). Meanwhile google changes the rules constantly. A successful experiment this month might be a complete failure next month. On top of that there are so many people out there spreading nonsense or outdated information it’s quite honestly a real hassle to find useful, actionable information in the SEO world. So what do we do? 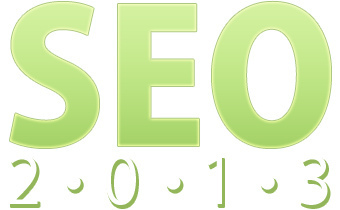 First: Forget SEO was ever created. At this point it is so tainted, misused, and over used. Instead lets concentrate on this: Communicating Effectively with your Audience via the Internet. If we want we can replace SEO with CEAI but I’d prefer not to as there are too many acronyms in the world as is (they are breeding like rabbits!). This idea is a much easier one to begin understanding. It involves searching for and adding people to your audience. Finding out what they want to know. And then providing the information they seek in the most convenient, easily understandable and useful way as possible. Keyword Research or What is my audience searching for? This is the foundation of the internet. But forget keywords for a second and think “Questions”. This is what people use search engines for and is the basic purpose of the internet, to ask questions and find answers (even if they are wrong or useless). Our job then is to find out what EXACTLY a client’s audience is asking, how many are asking that same question, and who else is answering it. Exactly is bold and in caps for a reason: We take our language for granted and assume far too much. Quick example: Early in our career we had a client that was ranking very high for “Gospel Music Lessons”. He thought that because he ranked so well for “Gospel Music Lessons” he would be successful in his market. His thinking was “I teach gospel music, if I rank for people searching for gospel music lessons then thats all that counts”. He was 100% wrong. Google provides the search amount for searches and every month only 28 people search for the exact term “Gospel Music Lessons”. So we looked at all his competitors and also started a research campaign into what people actually did search for and what searches would be relevant and useful for this client. After compiling a list of keywords from his competitors and our own research we narrowed it down to the most useful and relevant. We took that list and did a competition analysis. This resulted in a list of keywords that had higher search volume per month and also a high probability for our client to rank well. We found that the most searches relevant to our client were much more specific. Rather than people looking for “Gospel Music Lessons” they were searching more for “Gospel Chords” (nearly 1,000 searches per month vs 28) and “Gospel Piano Chords” (320 searches per month). Unfortunately our client did not use these keywords or listen to our advice. To see this in action I’ve provided a graph showing another client of ours. Comparing the search traffic on her site the first month she hired us compared to this last month. Even though she only hired us for a temporary amount of time the research and work we completed for her has paid off quite well. Before she hired us she was receiving 75 visits from searches each month, she now receives nearly 700 (almost 800% increase in traffic). This was just from a few keywords we targeted and helped create content for. Previously her site was found for 10 search terms (all of which were branded). She now ranks for over 150 search terms, almost all of which are related to the few keywords we targeted for her. She is now providing online seminars, is more involved in her community and is speaking to her audience. One of the greatest things is that she actually found her a whole new audience. In the beginning she had an idea of who her audience would be, she discovered a whole group of people she didn’t think would be interested in what she had to provide. She had answers for their questions, questions she wouldn’t have known they were asking had it not been for keyword research. What has been your experience with SEO? Josh Bowers is self taught and self motivated. Starting his first business when he was 7 years old selling sifted granite to diorama hobbyists. Since then he has experimented with more than a few different ventures using his computer and internet marketing talents. He also loves photography, gardening, his dogs, his family and food. Josh, what a superb article. I love that you get out of the jargon, get down to what it is we are going, and helping us do it better. “Communicating effectively with your audience via the internet.” I get it. You help us find out what our audience is searching for and help them find us. We’ve done a little of that with my site. Would like to do it again. It might be fun for Radiant Tribes to do a “lab” where once a month or whatever, you take one of our sites and do an analysis, create an action, and see the results. That way we could all learn about what you do, see it in action with one of our colleagues, and get and give ideas about how we could help each other and the Tribe to reach people more effectively. What do you think? That is a great idea, although I don’t think I’ll be able to do it once a month 🙂 It does take quite a bit of time. Of course I will be running analysis ongoing for our clients and with that have more material for future blog posts.